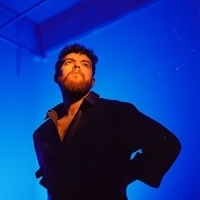 Jack Garratt is British singer and multi-instrumentalist who came to prominence with the release of the garage-infused piano ballad "I Couldn't Want You Anyway" February 2014. He was voted BBC Introducing Artist of the Year 2015 and won the BRITS Critics Choice in 2016. He released his debut EP "Remnants" in 2015, followed by the album "Phase" in 2016 and was nominated for and came first in the BBC's Sound of 2016.